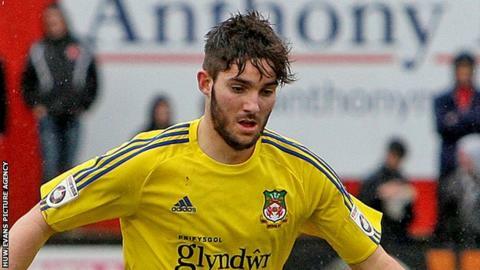 Wrexham have appointed midfielder Rob Evans as club captain following Sean Newton's move to York City on loan. The 21-year-old is a product of the club's centre of excellence and has made 99 appearances since his debut against Newport County in April 2012. He replaces Newton, who has joined York City on loan until until 4 January with a view to a permanent move. "It's an honour and privilege to be captain of your hometown club," Evans told BBC Wales Sport. "I'm going to use my voice on and off the pitch but I'm not going to be one of them that screams at players. "I won't be scared to tell them, but in the right manner." Newton has been reunited with former Wrexham boss Gary Mills, who was reappointed York manager three days after he was sacked by the Dragons.